“Let me commend members of the army at 1 Mechanised Battalion for the period that we worked together. Indeed, we worked as a team and as I part with you, I feel as if I am parting with my spouse, and from the depth of my heart, I feel gratified to leave you today with my shoulders high,” said Lt-Col Dube. “I would like to acknowledge the hard work that was done by my predecessor to mould this fighting force into a homogeneous force capable of undertaking operations in any challenging environment. 1 Mechanised Battalion has an illustrious history dating back from its successes in Mozambique, Somalia, DRC and recently the Operation Restore Legacy, just to mention a few. “I do not endeavour to distort this history, but I will rather add a new chapter to the already existing works. I will ride on the successes accomplished in order to set a new record of great achievement,” said Lt-Col Mafika. 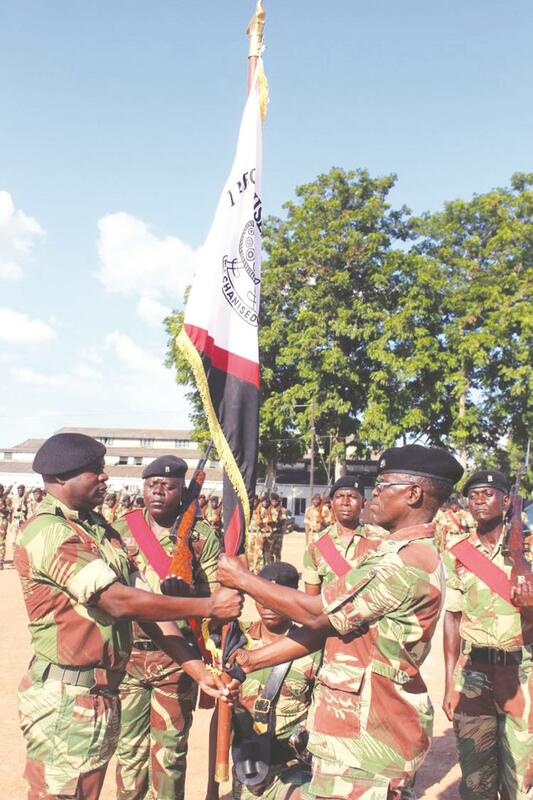 Lt-Col Mafika urged members of the army to cooperate and support him for the unit to succeed. “I accept the challenge of taking command of 1 Mechanised Battalion; together we shall train, together we shall fight and together we shall die for our motherland Zimbabwe. I am not here to change the wheel, but to adjust the nuts and improve the tread of the tyre,” said Lt-Col Mafika.